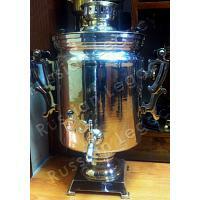 This nickel-plated brass samovar set has been made at the world-famous samovar factory in Tula, Russia. 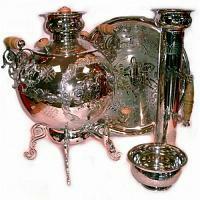 As is the case with all exclusive items, it has been manufactured according to the centuries-old Russian samovar-making traditions. 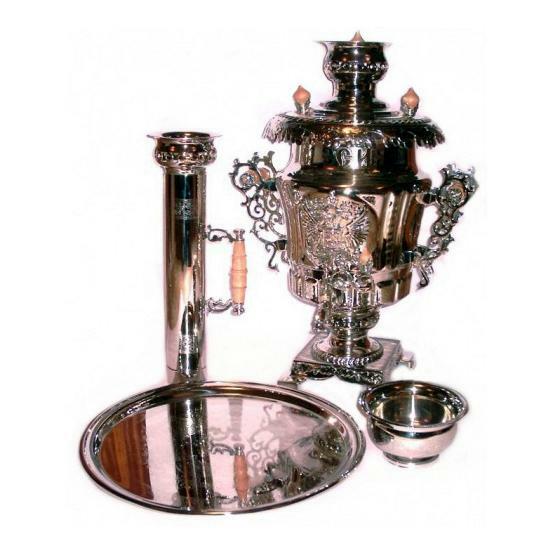 The set comprises a vase-shaped samovar, a round tray, a chimney, and a bowl. 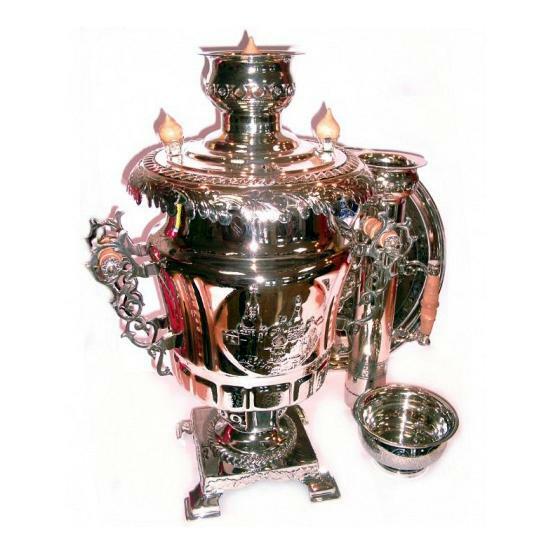 The samovar features elaborate patterns, including the word "Russia" in Cyrillic and the Russian coat of arms at the front and the Moscow Kremlin at the back. Without a doubt, this set will add value to any collection. Volume: 7 liters. Length (with handles): 14.6" (372 mm). Width (with tap): 11.1" (281 mm). Height: 19.3" (490 mm). Weight: 13 lbs (5.9 kg). Type: combined (coal or electricity). Please contact us to enquire about the exact shipping cost before placing your order.